Home > Books > Who Was King Tut? 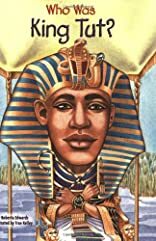 Ever since Howard Carter uncovered King Tutankhamun's tomb in 1922, the young pharaoh has become a symbol of the wealth and mystery of ancient Egypt. Now, a two-and-a-half-year-long museum exhibit of Tut's treasures is touring major cities in the U.S., drawing record crowds. This Who Was . . . ? 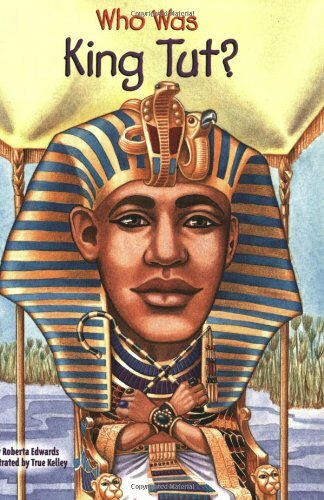 is complete with 100 black-andwhite illustrations and explains the life and times of this ancient Egyptian ruler, covering the story of the tomb's discovery, as well as myths and so-called mummy curses. About Roberta Edwards (Author) : Roberta Edwards wrote Who Was King Tut?